In 1939 the Southern Railway moved its headquarters from London’s Waterloo to Deepdene to avoid the bombing. A special train brought in many of its 800 workers daily and a complex of tunnels housed a telephone exchange, air raid shelters and the operations room from which the movement of evacuees, troops, munitions, ambulance trains and prisoners of war was organised. 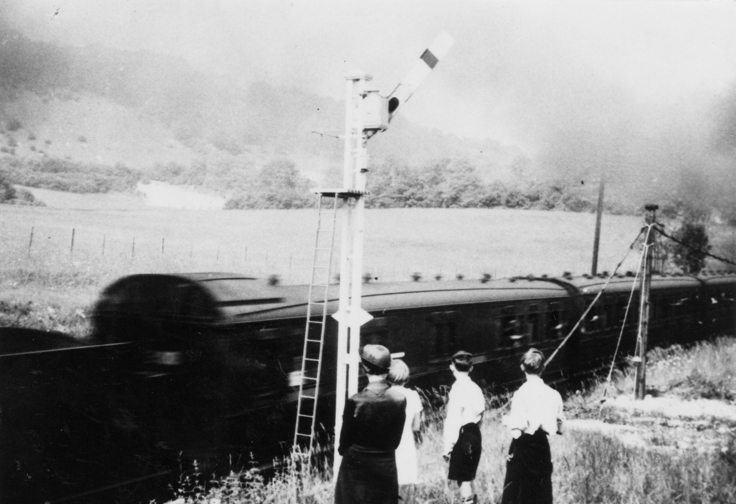 In 1940 all normal railway traffic was suspended between 27th May and 4th June as 293 ‘Dynamo Specials’ passed through Dorking day and night carrying troops who had been evacuated from Dunkirk in France. Local people stood on stations and alongside the line to watch the trains pass with their cargo of men, some clothed only in blankets. Notes thrown from carriage windows by desperate survivors were gathered up by passers-by and railway staff and posted on to loved ones. Codenamed STS2, Bellasis House on Box Hill housed a training centre for Czech agents of the Special Operations Executive. There they were prepared for their return under cover to occupied Czechoslovakia. 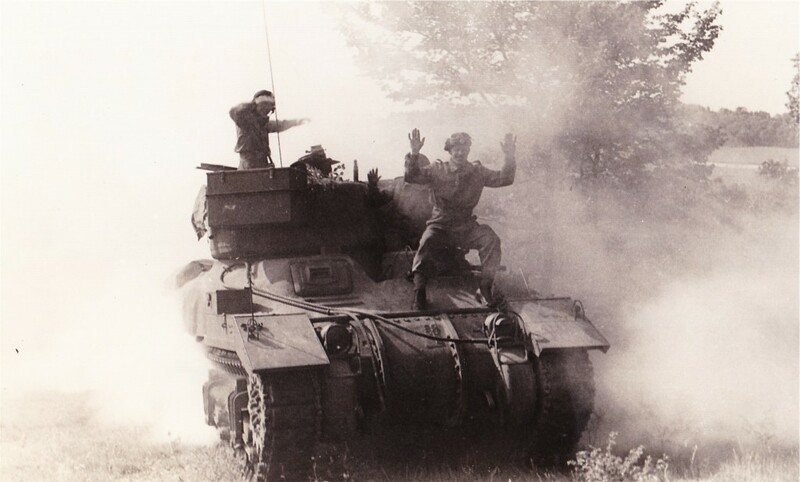 The team that assassinated the Nazi Reinhard Heydrich, (the acting Protector of Bohemia and Moravia who had chaired the Wannsee Conference that set in motion the Final Solution), set off from Bellasis for Prague in 1941. 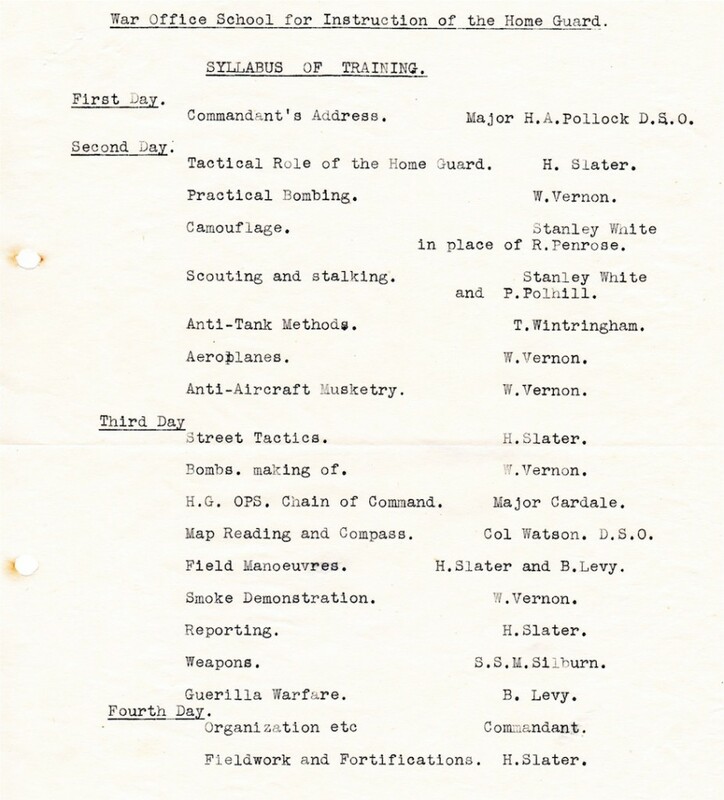 Author, Bernard O’ Connor sent the Museum the following piece of information; from June 1944, prisoners of war from the German Army – including Russians, Germans and Austrians, were accommodated at Bellasis and given deep interrogation to determine their willingness to be trained as organisers, wireless operators and saboteurs to be parachuted behind German lines by the Allies in the months before the surrender. They were nicknamed ‘Bonzos’. 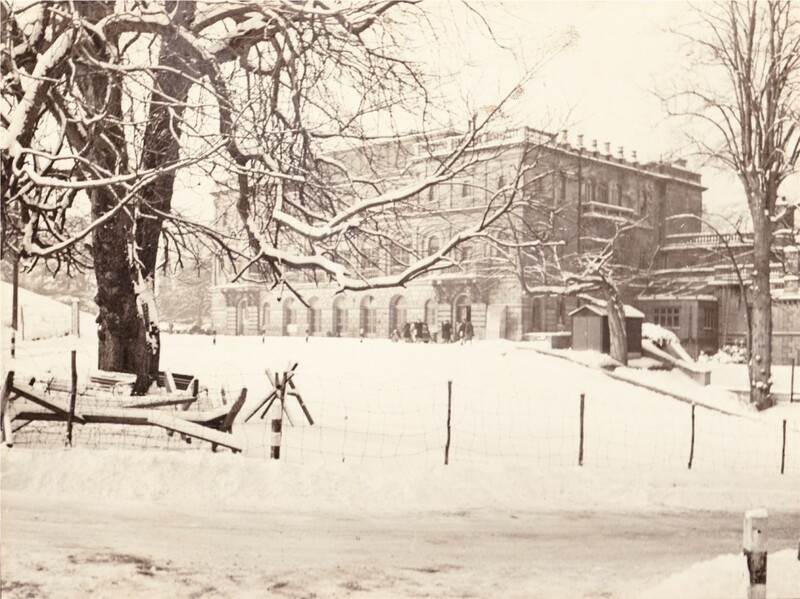 During the Second World War a wing of Denbies became a training school for the Home Guard. The school was run by Major Hugh Pollock, husband of the children’s writer, Enid Blyton. Home Guard officers came from all over the country to learn how to make booby traps and sticky bombs, to decapitate enemy motorcyclists and to kill with a stiletto heel. The nearby Dorking chalk pits were used for explosives training, those at Brockham for anti-tank training. The image shows a Home Guard training demonstration at the Nower.